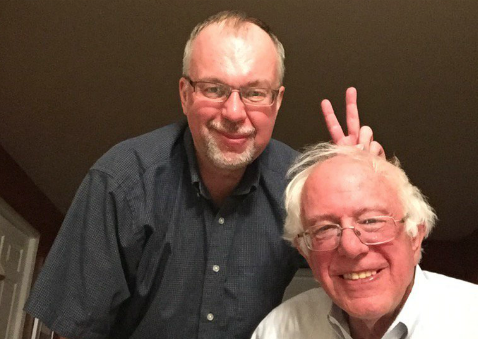 Levi Sanders, son of Sen. Bernie Sanders (I., Vt.), said that if he's elected to Congress he won't support House Minority Leader Nancy Pelosi (D., Calif.) keeping her top spot in the Democratic Party. The younger Sanders is running for the Democratic nomination in New Hampshire's 1st Congressional District where, like his father, he supports far-left proposals, including Medicare for all and free public college. Sanders announced that instead of supporting Pelosi he would support Rep. Barabara Lee (D., Calif.) for the top spot among House Democrats, CBS News reports. Lee, who was co-chair of the Congressional Progressive Caucus from 2005 to 2009, is considered a staunch progressive and announced her candidacy for Pelosi's spot in July. "I think Nancy has done a really good job, but at this point in time we need new, fresh leadership and I would support Barbara Lee," Sanders said. Democrats have been divided on whether Pelosi should remain in her role, as she is seen as a symbol of Democratic electoral failures but is also well known for her strong fundraising ability. While some Democrats, such as Rep. Tim Ryan (D., Ohio), want a replacement who could better appeal to moderates, some want a leader who will push a progressive agenda and take a more active role in opposing President Donald Trump. The issue is one Democratic congressional candidates have had to tread carefully around so as to not alienate varying party factions. A growing number of candidates and lawmakers–more than 50–however, have said they won't support Pelosi for speaker of the House if the Democratic Party regains the majority after the November midterms, according to NBC News. This entry was posted in Politics and tagged Bernie Sanders, Congress, House Democrats, Nancy Pelosi. Bookmark the permalink.